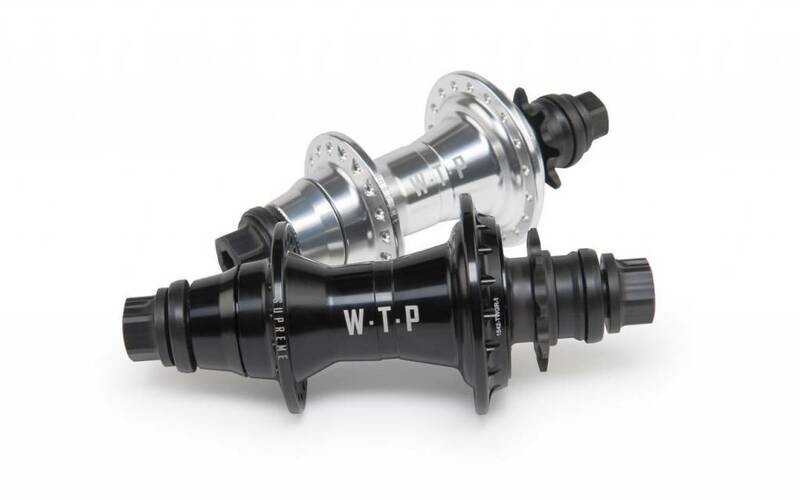 A long time in the making, our new 2016 Supreme hubs ARE HERE. We really went back to the drawing board and introduced a bunch of new features for this latest incarnation, including a peg friendly 12mm female bolt system, twin bearings in the non-drive side and an new IGUS bushing Switch Drive Q-lite driver.THE 12mm female bolt system givES you a stronger peg interface and A bombproof axle. Pair it up with our Supreme hub guards and you have a super dependable cassette hub ready for battle.